Pub crawl like no other on a party bike that can hold up to 16 people. 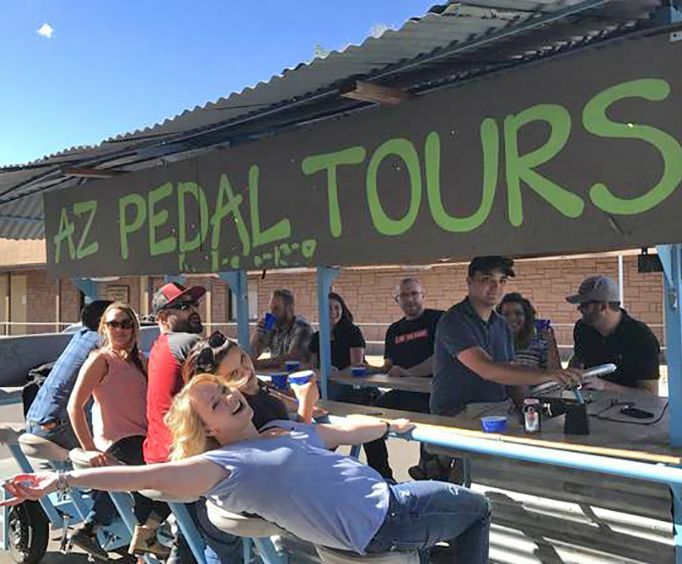 This is a great way to get a feeling of Flagstaff's downtown bar scene from a local perspective in a fun and safe way as well as hearing more information and entertainment than you get from a typical pub crawl. After checking in at the Flagstaff Sports Exchange in downtown, you'll ride across historic Route 66 and the Burlington Northern Sante Fe railroad into the Southside. Here you have the choice of visiting MotherRoad Brewery, Beaver Street Brewery, the Lumberyard Brewery or any combination of the three. Afterwards, hear some interesting stories of the neighborhood and then bike back north where you will visit bars that carry craft beers from across the state. 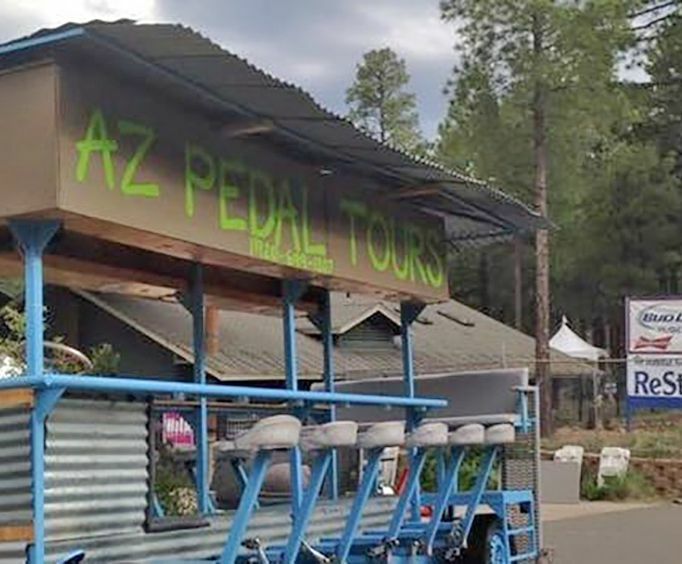 Some of these include but are not limited to Hops on Birch, the State bar, The Wine loft, Flagstaff Brewing Company and many more that guests may want to visit along the way. The objective of this tour is fun quality time not only at the bar but also traveling from one bar to the next. The objective of this tour is not to drink as much as you can but to have an enjoyable downtown experience. This tour is also available for families or groups that are not interested in visiting the bars. Departure Times: The Haunted Pub Crawl is available 7 days a week at 5pm and 8pm.